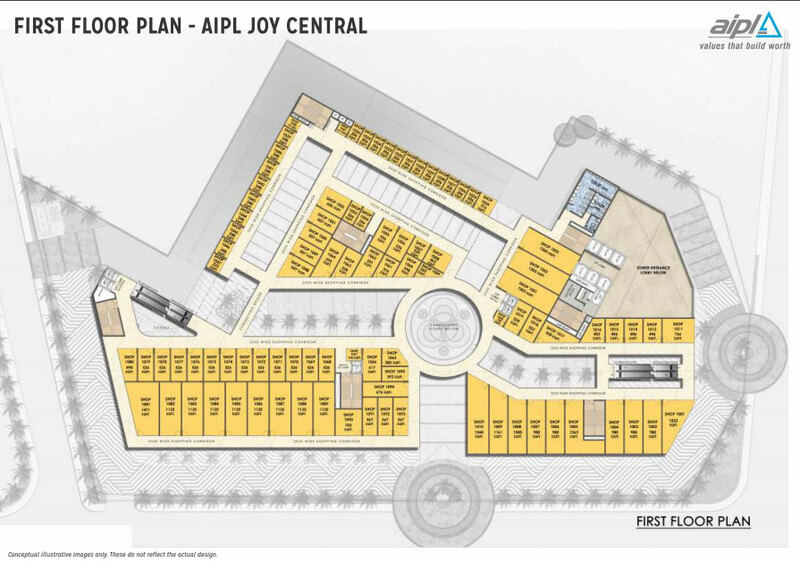 AIPL Joy Central Sector 65 Gurgaon is a mix of retail shops, office, spaces and multiplex with 12 screen by PVR bang on main golf course extension road, that are low maintenance. 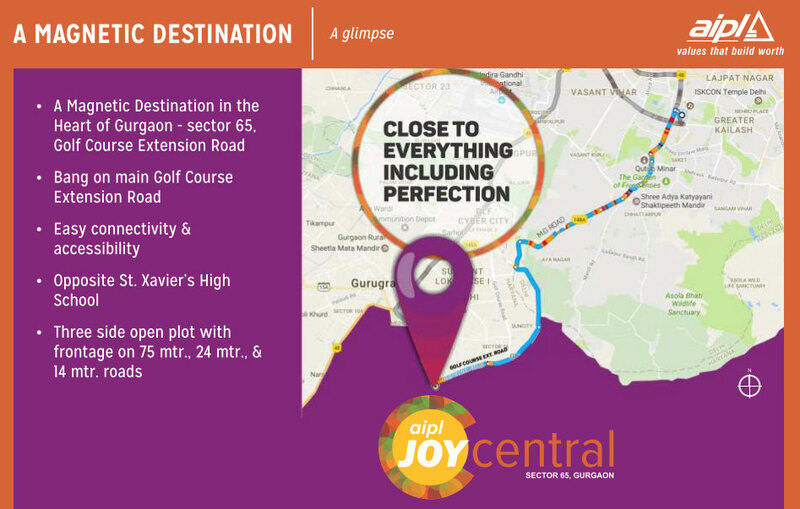 It is the only retail hub for thousands of affluent families in sector 65 gurgaon. 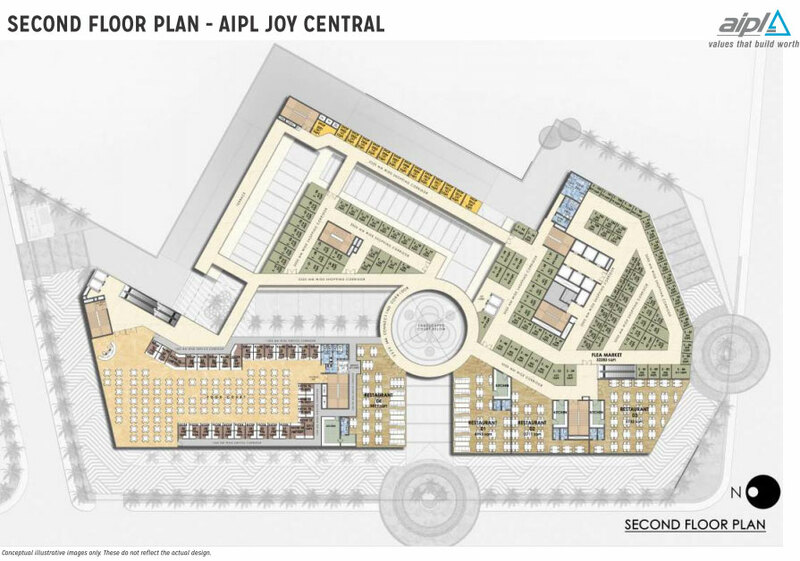 AIPL Joy Central is a Upcoming high street retail shops with 12 ultiplex and 12% assured return at 40: 40:15:5 pre launch payment plan and located in prime location of gurgaon in Sector 65 Gurgaon with name AIPL Joy Central which is opposite to Nirvana country. for more info you can call us 9810154300 our property expert who have 15 + experience in field of property. Advance India Projects Limited (AIPL), has a multi-dimensional portfolio starting from residential to industrial and retail segments. 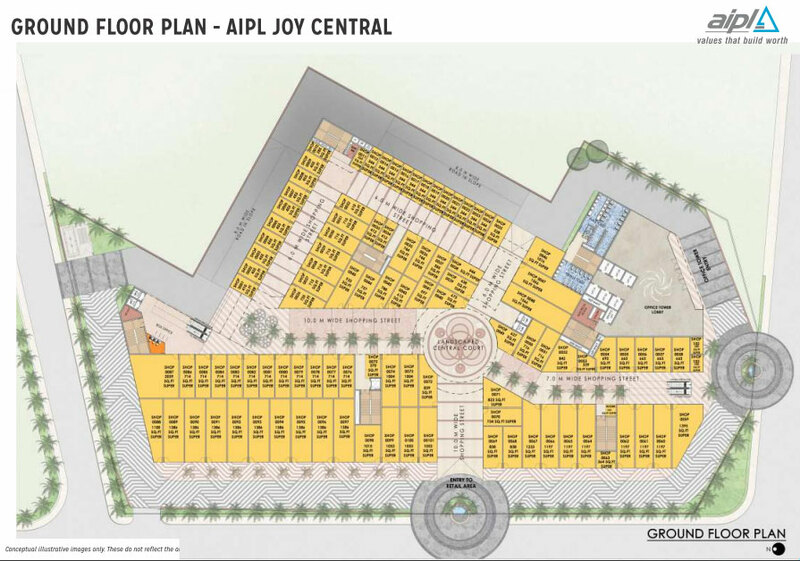 Headquartered in capital of India with six regional offices in 3 states across the country, AIPL continues to rework the looks and quality texture of Bharat with innovative industrial landmarks, unprecedented retail developments and exclusive and premium residential communities. Entrance from main 90m wide road. Surrounded by huge residential apartments & townships. Smaller investment is very limited. Retail Outlets arranged around broad and landscaped Piazzas and Walkways. Grand Entrance Piazza – Serves as a welcoming feature and an attractive Hang-out space. Easy Vertical access to different levels through strategically placed Escalators, Lifts, Staircases. Gourmet Hub- Exclusively for Food & Beverages and Entertainment. Entertainment hub and 10 Screen Multiplex.